Making food with yummy ingredients like garlic, fish, and onions is great in dishes but when dinner is done you don’t want to smell like dinner for the rest of the night. 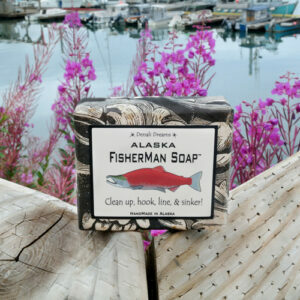 We have the soap to wash away the dinner smell. Our Kitchen soaps have finely ground coffee added to neutralize the smell and for a mild abrasive scrub. Three aromas of Cinnamon, Vanilla Latte, and Almond Mocha.